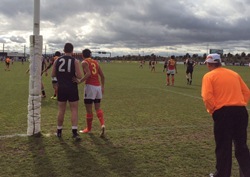 New Zealand played in another massive mismatch today against the China Dragons winning 28.26 (194) to 0.0 (0). Having also run up a cricket score against the Sweden Elks on Sunday whilst also holding their opposition to no score the Hawks defence has seen little work thus far. 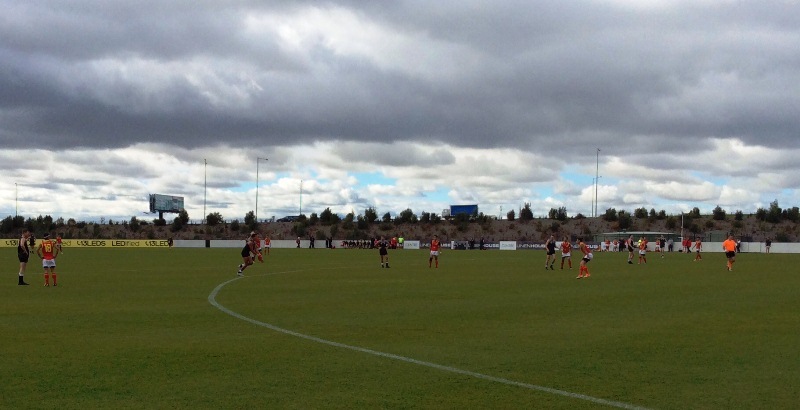 Today's game was played at the Linen House Oval in Seaford, the training base for the St Kilda Saints. There was a crowd of over 250 there with many local schoolchildren. 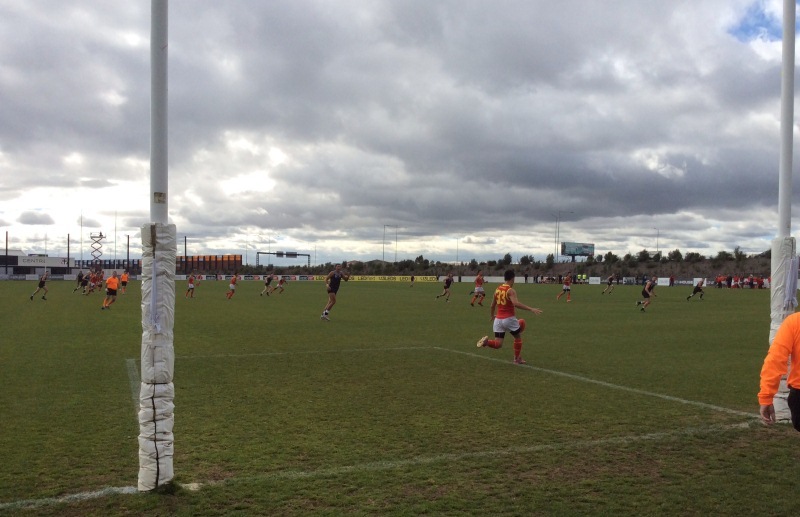 The Hawks kicked 7 goals a quarter (each quarter 17.5 minutes). The Hawks had 54 scoring shots in 70 minutes so it is very little surprise that the ball hardly ever went into the Dragon's 50. 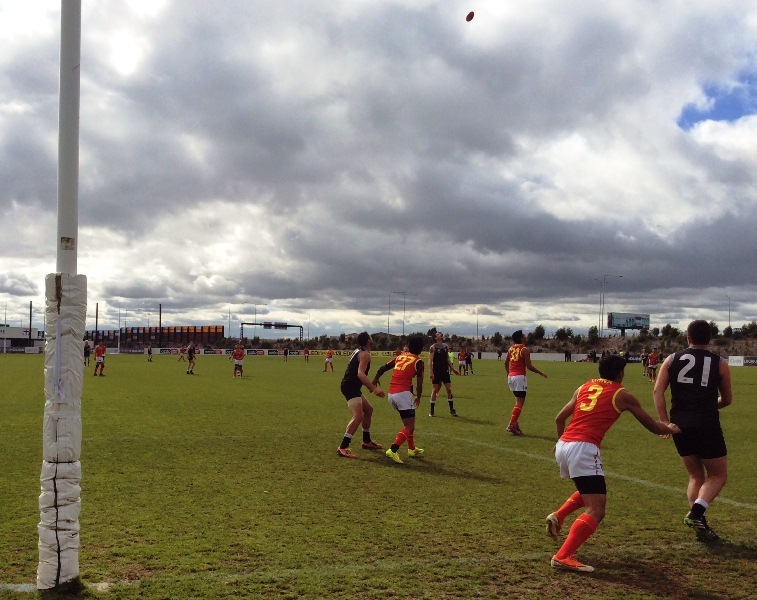 The first quarter saw the Hawks start into the breeze and big Chris Mundell and St Kilda's international rookie Joe Baker-Thomas were unstoppable with only their accuracy letting them down. In fact that was the story for the day as had they kicked straight it would have been a monstrous score. Having met Baker-Thomas in Wellington when he was first rookie listed the shy, skinny boy has certainly grown into an extremely powerful athlete. China certainly kept their heads up being mindful of the basics such as putting their head over the ball, tackling hard when not in possession and using the ball with some skill on the odd occasion when they had any time or space. The Kiwis did all you would ask other than convert accurately. They ran to space well, shared the ball and showed good skill execution. I would think most of the crowd would have left thinking the Kiwis play footy that is indistinguishable from local Australian teams. They are extremely fit and have plenty of size about them with plenty of builds that look like AFL footballers. Better players for China were Zhushen Chen, Hao Zhang, Mingjie Deng, Yifeng Zheng, Shaoliang Chen and Fan Yang. 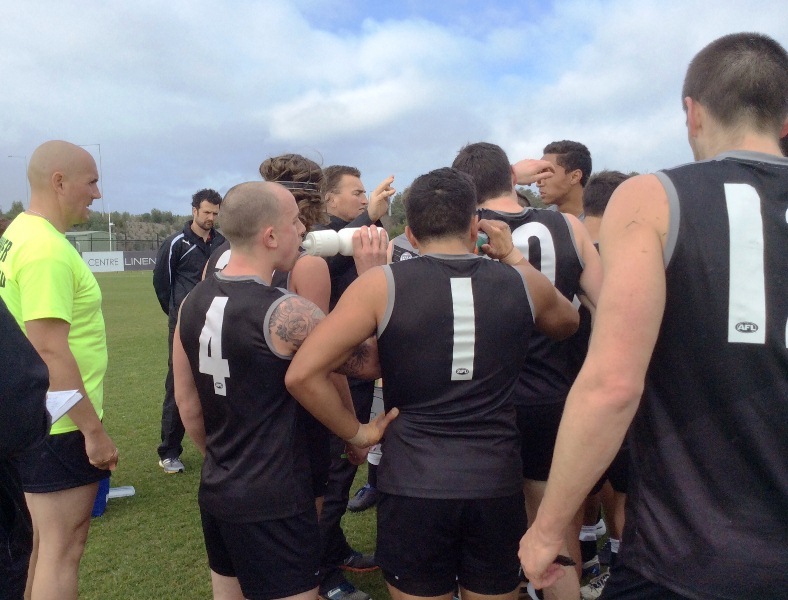 Players to stand out for the Kiwis were Tim Morton who snagged 9 goals, tall forward Chris Mundell, athletic blonde ruck man Ty Smith, captain Andrew Howison, hard working small forward Logan Toomer and 19 year old Cantabrian Levi Inglis. Goals scorers for the Hawks were: Tim Morton 9, Chris Mundell, Levi Inglis 3, Joe Baker-Thomas, Justin Clark, Logan Toomer 2, Will Gregson, Mike Gregson, Jay Johnson, Sam McKenzie, Matt Van Wijk, Dan Benny and Ernie Christensen 1 each. 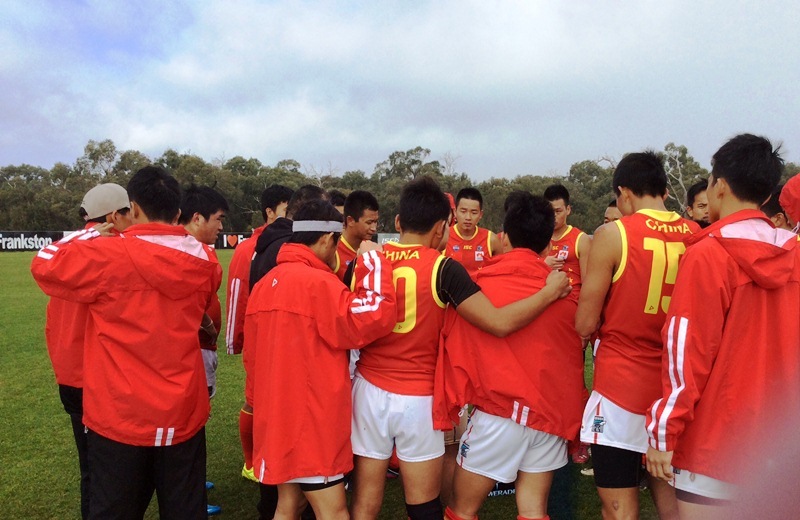 Team China coach Jiaming Pi said "It was a better showing despite the score. One on one in the first five minutes was excellent, Then the flood gates opened and the pressure dropped. We feel we're starting to get a game plan together, which is good and can use that against Finland in Ballarat will be a great game. We can't wait"
China will look forward to finally having a winnable game against Finland in Ballarat on Saturday whilst New Zealand will head to Montrose to face the U.S.A who survived a very tough game today against Canada in one of the games of the tournament thus far. This game will decide how far both teams will progress in the tournament. Keep your heads up China. Horrific draw that certainly hasn't helped anyone's efforts to promote the game internationally, but plenty to like in this China team who are much improved on the 2008 and 2011 squads. Looking forward to see the boys finding some space and utilising their pace and fitness against some of the lesser ranked teams in the coming games.